I’ve known this executive for many years. He is a great leader, he has always had successful teams and he got to where he is by always achieving strong results. This time was no different. His business results were very strong, but he wanted to make them even stronger by getting rid of ‘the blame game’. 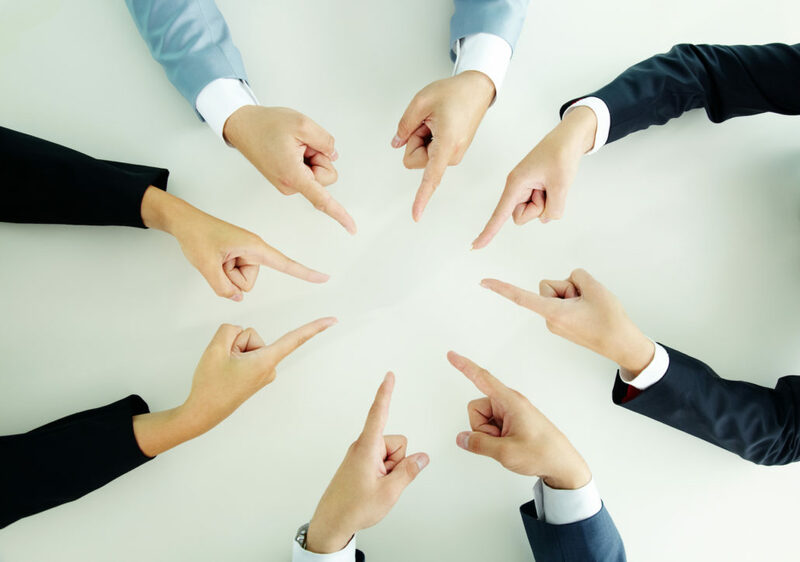 No matter how efficient or successful your team is from a business results standpoint, the blame game is always harmful and destructive. It undermines the team dynamic and creates a stressful work environment. When something goes wrong and there’s a witchhunt for whose fault it is, people react by hiding, covering their behinds, misrepresenting and being cautious. Nobody engages in a productive conversation to learn from past mistakes, which only perpetuates the situation and increases the likelihood the same problems will be repeated. Unfortunately, most workplaces – even the most successful ones – are filled with people who spend more time and energy trying to avoid blame for something that did – or might – go wrong, than in anticipating and addressing the real problems. In an environment in which people are too occupied by looking out for themselves and making sure everyone else, especially their superiors, knows that they are not at fault for issues, they also look and compete for credit and praise as evidence of being better than others. This is because in most corporate environments people are threatened by others getting more credit and praise than them. The unspoken mindset, which shapes behavior is “The better you are, the worse I am”. People fear that others might get advanced and promoted before them. As a result, there is a subtle, but clear, orientation around “Look how great I am”. You can see it in the way people promote themselves and their agendas in meetings, presentations, and one-on-one conversations. It’s a constant wrestle, jocking for positions and status, which is “normal” in corporate environments, but nevertheless quite exhausting. In this environment its harder for people to be happy with the accomplishment and success of others. Also, they are far less inclined to recognize and praise others for a job well done. Contrast this with an environment of ownership and commitment, where people are orienting around open, honest conversations that lead to the source of the problems and allow for real resolution and improvement. In this environment, no one is interested in who’s at fault, but rather in getting to the source of problems. In this environment, people are eager to volunteer their insights, observations, and energy in addressing what was missing, what needs to be corrected and take personal ownership for resolving the issues. In a healthy environment, people are also much more open to receiving feedback and constructive criticism, as the name game is “How can I get better all the time?” rather than a “gotcha” environment where they are consumed by the fear of being caught or penalized. In a healthy team environment, where people feel they are working together towards a common aim there is no angst about credit and blame. In this environment, people are much more inclined to view others accomplishments as their own; they are far more generous in providing praise and recognition to colleagues. This produces energy, inspiration, motivation, and a desire to do whatever it takes for the team to be successful. Make sure your team has a higher purpose and goal that everyone is clear about, aligned behind and excited about. Promote a recognition mindset and plan that rewards and promotes authentic, collaborative and courageous behavior. Put together an incentive plan that supports collective success, in addition to individual success. Explicitly declare your stance and commitment to building a strong team environment that is based on team alignment, collaboration, communication and success at every opportunity. Don’t tolerate anything else, and be willing to take developmental and disciplinary actions if people behave counter to your direction. Promote open, authentic and courageous communication around you. Role model this behavior yourself by sharing your thoughts and being open to honest feedback. Empower and encourage your team members to do the same. Stop using the “S” word! How well are you balancing the strategic and tactical; the new and the old?